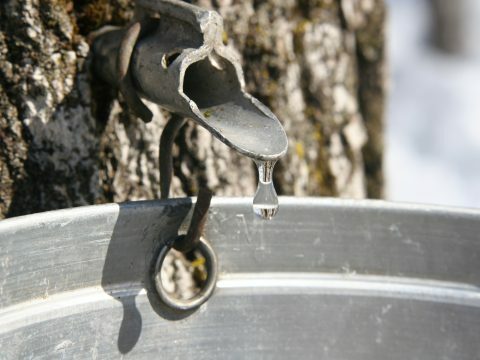 Come and sweeten your palate while the maple water is running; in March and April we will welcome you in a warm and friendly atmosphere. Come sing, dance and have fun with family and friends. Our restaurant can accommodate up to 300 people. You can also visit our installations for producing maple products. All you can eat menu served at the table! Live folk music (accordionist) during the meal and on weekends we also have a guitarist. All you can eat menu, served family style! All taxes and gratuities will be automatically added to the bill. Children under 2 years of age eat for free. Please note that you must mention them when you reserve and include them in your final count. For groups of 30 or more, we require a single payment. Group rates available. We are not open every day. Call us to reserve and confirm the time of service.